smooth transaction, would highly recommend!!! 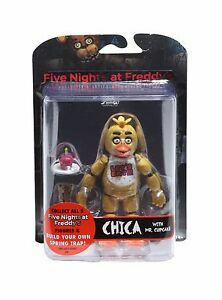 I received the FNAF Chica figure. Great price! Highly recomme seller. Awesome sellers and fast shipping A+++. Highly recommended. Item (FNAF Figure) came when expected - great shape - will order again! Excellent item and shipped with care!